Silent Night . . . well, not quite. 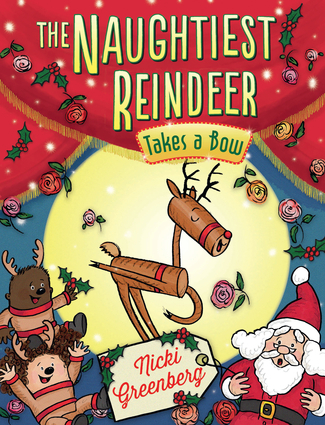 Ruby the reindeer makes Christmas Eve more entertaining than ever before, in her fourth adventure. Nicki Greenberg is the author and illustrator of BOM! Went the Bear and Monkey Red, Monkey Blue and the creator of graphic novel adaptations of The Great Gatsby and Hamlet. Her illustrations have been featured in the New Yorker.